I very rarely have the time to go back to many of the places that I have written about on the El Stop Project, which is a little bit sad in some ways as there are some really great places that I could easily eat at every day. The Etno Grill is one of those places. I was on the Brown Line just before Christmas and a little lad was looking out of the window and shouted out “I can see a cow”. His mum began to chide him for being silly “There are no cows out there dear”. 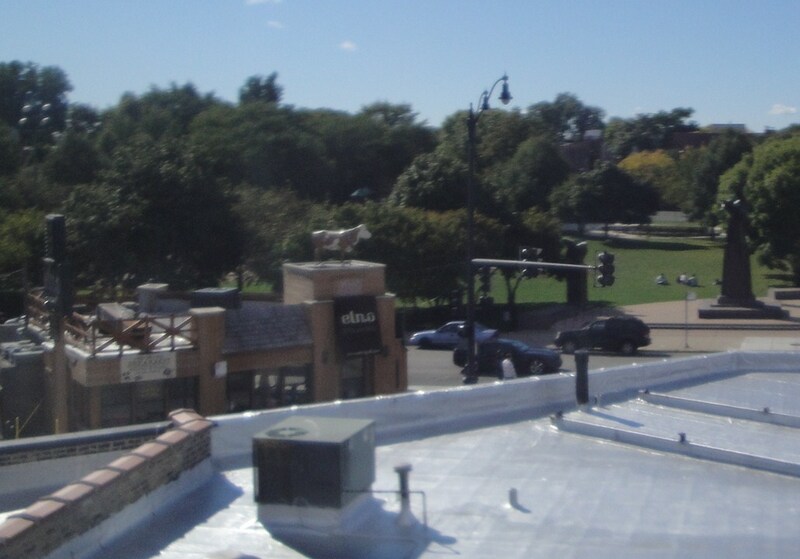 I was about to pipe up and tell her that it was the cow on top of Etno Grill that he had seen, but then she remembered . You see everyone sees that Cow as they ride past, but I wonder how many have sought it out to find out what lays beneath? I hope that it is lots of you. I have had the hamburgers and the pork sandwiches here on a number of occasions and if you have been here I probably don’t need to tell you that they are excellent. If you have not then I am telling you now. Today though I was finally getting my hands or was it my mouth on one of their “Spicy Balkan” sandwiches. This is one of the sandwiches on their ‘build your own’ menu described as a “Pleska Patty (ground beef & pork) stuffed w/asiago cheese, bacon, onion & crushed red pepper”. I did not add to much to mine, I just had some of the Etno Spread, which is a mix of feta, sour cream, and chili peppers, some ‘spring mix’ salad leaves, and some red onion. I did not want to detract from the flavour of the patty, so was quite frugal with my selections. 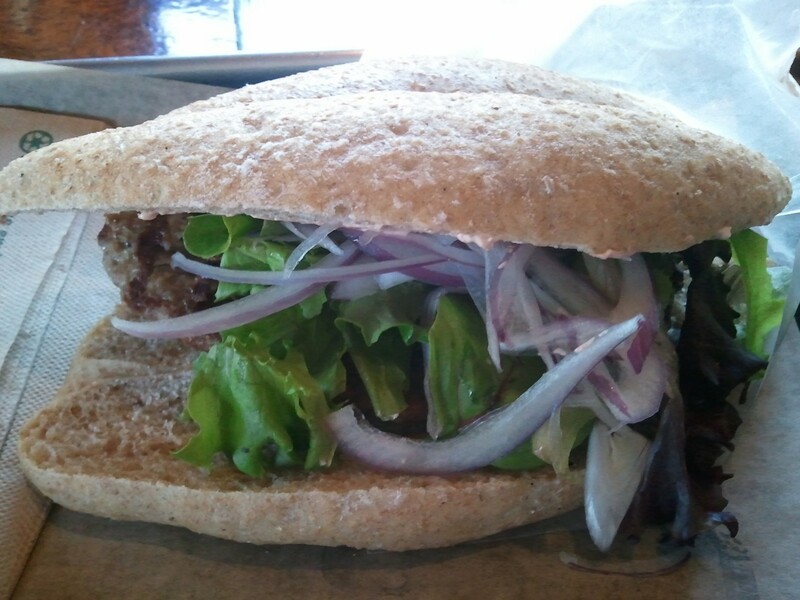 The patty is really delightful, there are small bacon chunks, and flecks of pepper throughout, it is mildy spicy, but the addition of the etno sauce also gave it an added kick. The addition of the crispy salad and onion was also borderline genius (can I really say that seeing as how it was my selection? probably not, but I just did) giving a nice fresh crisp bite to contrast the patty and also to help cool from the hit of spice that you get with each bite. I am really glad that I took the time to try the Spicy Balkan, and If it was not for the fact that I really like their burgers, I would get this again, but if you have not tried it then I most certainly recommend it. Thinking about it while I was sitting there eating my sandwich, I wish that I had been able to make Bourdain’s itinary when he did his recent ‘Layover’ program to Chicago as I would have sent him here. Maybe that would be too far fetched but how about you? 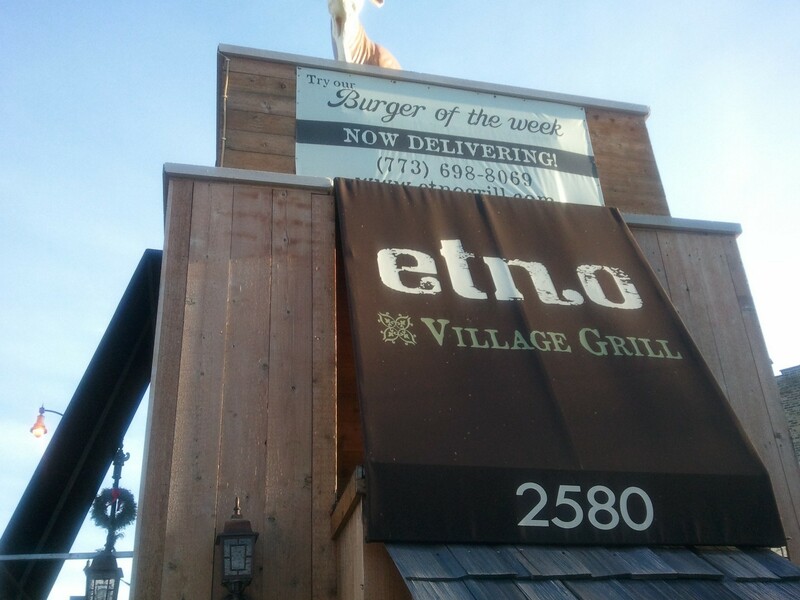 If you have not tried Etno Grill then I emplore you to do so, as soon as possible. You can read all about them on their website at http://etnogrill.com/ you can also follow them on Twitter and Facebook, and I believe that you can even get their burgers delivered or even better get them to cater your office. 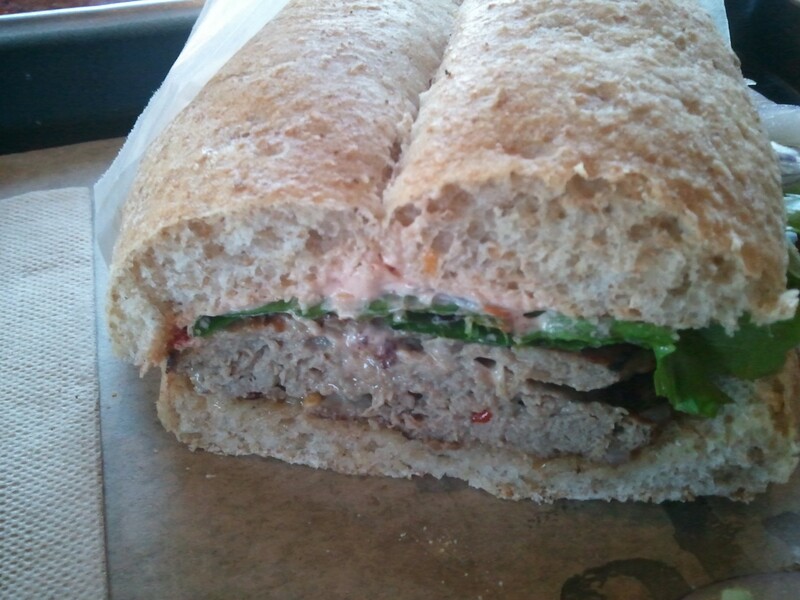 Great review of Etno Village Grill’s Spicy Balkan Sandwich! Chicago area. 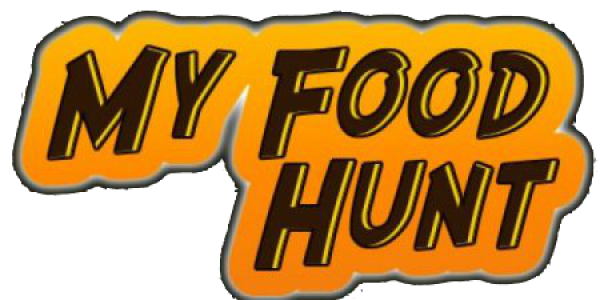 Enjoy your food hunt!